​Kelly Brooks is an experienced international development specialist with 17 years of program management experience on projects aimed at addressing systematic violence inflicted against minorities and vulnerable communities. Ms. Brooks has nearly 10 years of experience managing USAID funded projects with Management Systems International, Florida International University, and most recently Chemonics. She is a respected human rights expert with technical expertise in gender equality and minority rights, including Afro-Colombians and indigenous communities, and the LGBTI community. 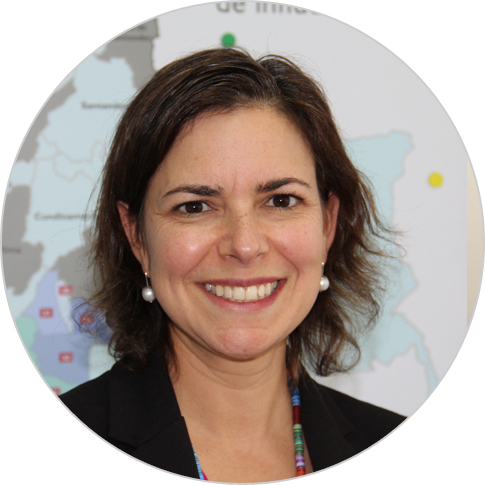 She joined Chemonics in 2012 and is currently the chief of party of the Colombia Human Rights Activity. Working with government stakeholders and representatives from civil society, Ms. Brooks has led her team in advocating and protecting the human rights of 40 communities devastated by violence related to the internal armed conflict. She received her B.A. in international relations from Tufts University and her M.A. in international affairs from Columbia University. Can Teaching Human Rights in Conflict Zones Build Peace?